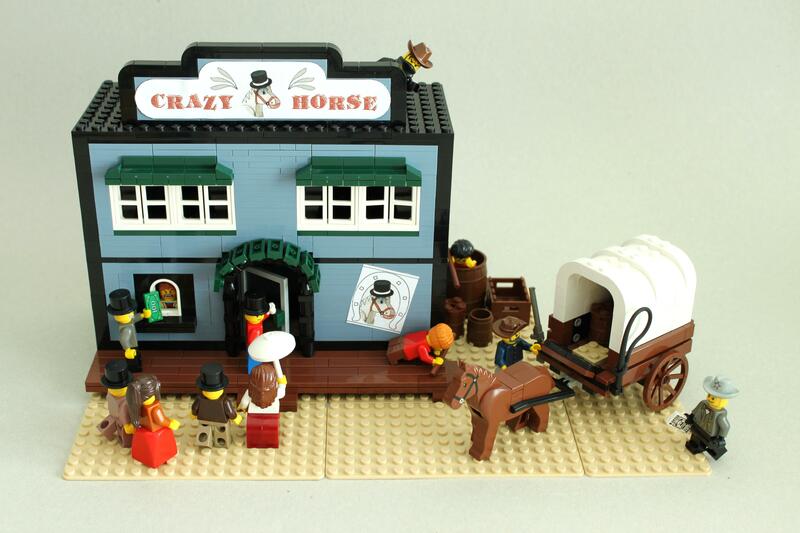 Brick Town Talk: Going to a Western Picture Show - LEGO Town, Architecture, Building Tips, Inspiration Ideas, and more! An excellent choice of colors for this model. The covered wagon is especially neat and who can't recall the classic outlaw poking around the buildings like in the old TLC sets? Very cool creation!